Memorial Day was filled with fun in the sun, friends, and a ton of chambray! Welcome back to the work week, friends! I had the best Memorial Day Weekend and I hope you did too. I'm sharing a few details about my weekend and my favorite outfits showcasing my red, white, and blue spirit! On Saturday night, I visited the Grove in Harwood for the first time ever for a friend's birthday party- it's an outdoor lover's dream! A grassy field, sand volleyball, a bar shack and food truck make up the Grove. My friend is a Marine and loves to celebrate his birthday and Memorial Day by asking everyone to wear the red, white, and best blues for the event! 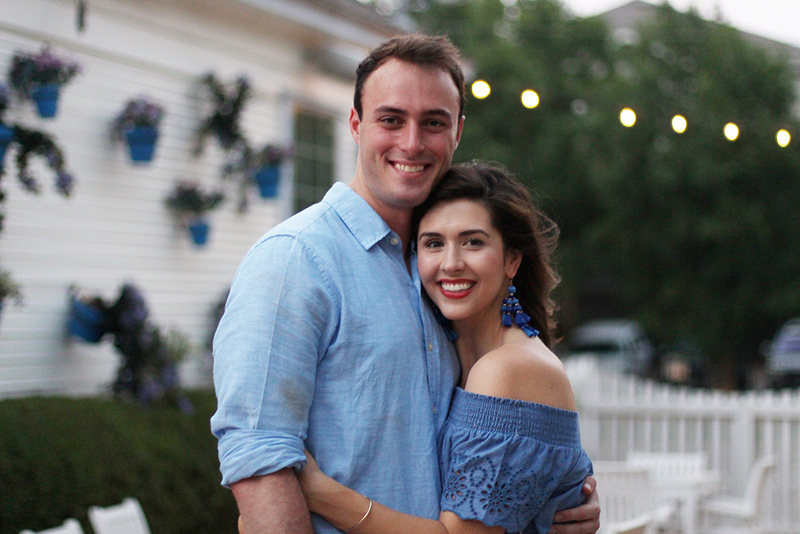 I brought my camera to snag a few outfit photos of this off-the-shoulder chambray dress because I've been wearing it nonstop, but I ended up taking photos of the party as well and everyone loved them. Stephen and I matched. Oops! But so did everyone else, so no big deal. I love the look of embroidery on the sleeves and hem of this dress (and it's a steal!). My earrings are one of my favorite accessories and were a bit of a splurge but I plan to wear them all summer long! Sadly, these white sunnies didn't make it through Monday on the lake and are lost at sea forever, so I have to order more (they're only $12! ), but this straw clutch is my new favorite for summer and is currently on sale! 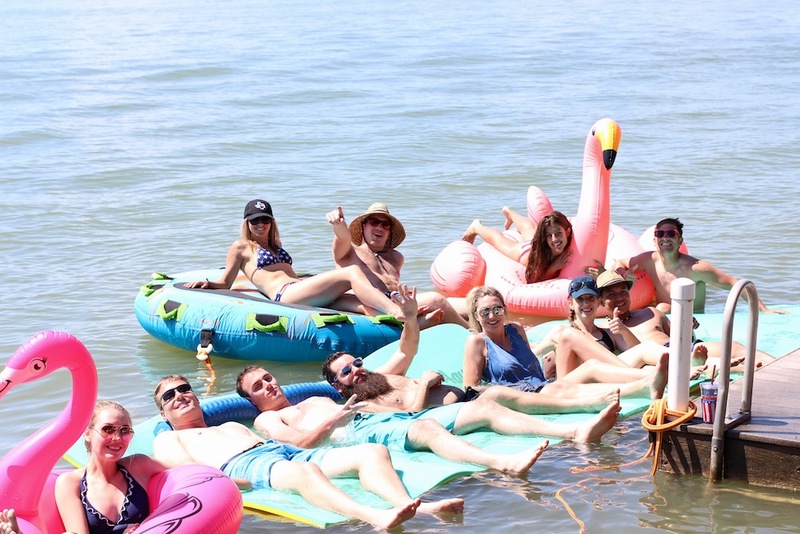 On Monday, we went to a friend's lake house and lounged on floaties at the dock, went tubing, and grilled out with a super fun group of people. Couldn't have asked for a better day, especially because we finished the day at Babe's Chicken (all you can eat fried chicken and sides- don't judge!). This denim romper is sold out but this chambray romper from Old Navy is the updated version. I'm so thankful for all of the brave men and women who gave their lives for our freedom!